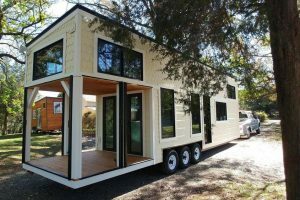 Portal is a fantastic tiny house designed and built by The Tiny House Company in Brisbane, Australia. 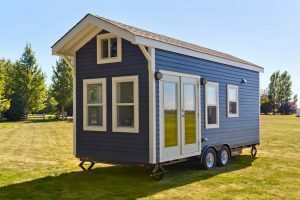 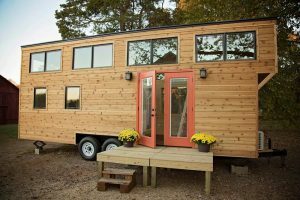 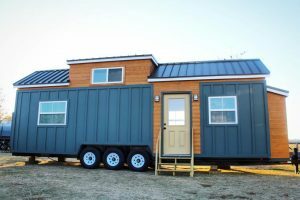 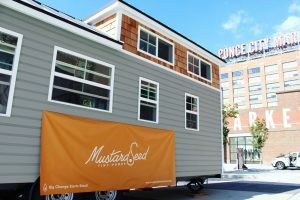 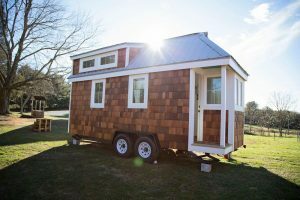 The tiny house contains high-end detailing and fixtures, a custom-designed retractable bed, and custom cabinetry. 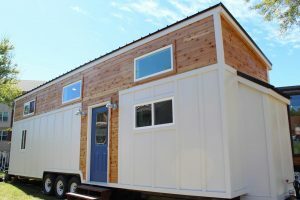 The modern aesthetics create a spacious feel while incorporating recycled hardwood lends to the environmental responsibility they were seeking. 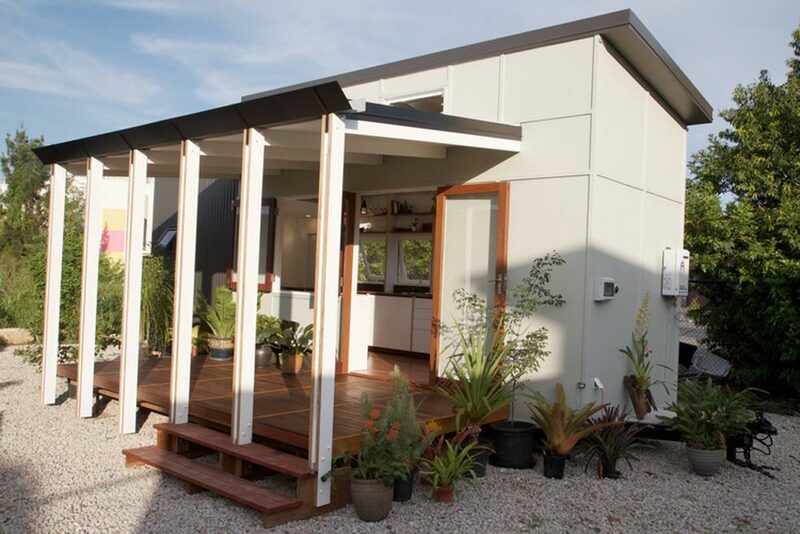 All of the decking boards are recycled and the wood doors came from old Queensland cottages. 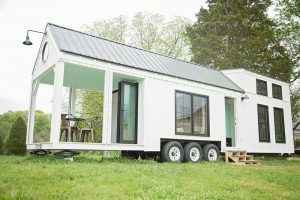 The functional design of the house allows for good cross ventilation so the air comes in through the bottom windows and the hot air rises and is released through the high louvres. 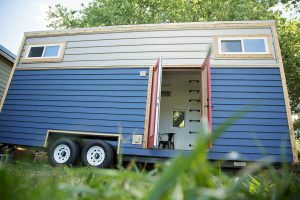 This allows them to live in a sub-tropical climate without air conditioning. 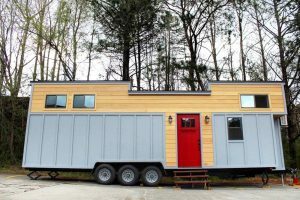 Also available from The Tiny House Company: Swallowtail.